What's New at Walt Disney World This Fall? 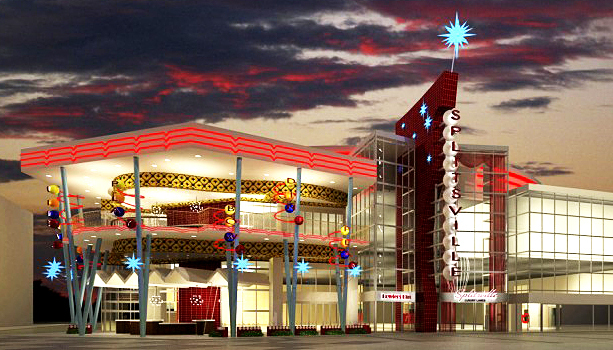 Splitsville’s 50,000 square foot, two-story location will be different from traditional bowling alleys. 30 lanes will be separated into several clusters to create a one-of-a-kind perspective immersed in hip and retro elements. The Downtown Disney location also will boast billiard tables, live entertainment, a dramatic balcony and ample outdoor seating. Placing a whole new spin on the bowling experience with its emphasis on unique design, Splitsville will greet guests with upscale sushi bars, plush booths and dynamic decor overlooking the bowling lanes. Between strikes and spares, guests can feast on menu items that include hand-tossed pizza, fresh-rolled sushi, grilled mahi-mahi with “Voodoo” shrimp, and hand-cut filets, as well as alley-classics such as cheeseburgers and crinkle-cut fries – all served right at the lane. New vegan and fresh-from-Florida dishes will debut along with international bites and sips at the 17th annual Epcot International Food & Wine Festival September 28 – November 12, 2012. The 46-day culinary event — named one of the “Best Food and Wine Festivals” on the Travel Channel web site – adds an extra day of festival fun this year. Festival goers are treated to top music acts during daily Eat to the Beat! pop concerts, where four new acts – Smash Mouth, “The Voice” winner Javier Colon, Blues Traveler and Dennis DeYoung, original member of STYX join 14 returning bands to take their turn on the America Gardens Theatre stage. Starting this fall, Walt Disney World Resort guests will become the stars of “Phineas and Ferb & YOU: A Brand New Reality.” The virtual experience will allow guests to play with animated characters from Disney’s animated series “Phineas and Ferb.” The fun happens at Downtown Disney West Side, next to Bongos Cuban Café September 1 – December 1, from 2-9:30 p.m. daily. Guests will be invited to stand inside the virtual experience set, and out of 20 randomly pre-determined animation segments, Phineas and Ferb, Agent P or even Dr. Doofenshmirtz will magically appear to play and dance alongside them. It all happens in a virtual (on-screen) 30-second experience. Then guests may visit a special website to download and share a complimentary souvenir photo of their starring role. Special Phineas and Ferb merchandise will be available at a nearby merchandise stand. The Legend of Captain Jack Sparrow debuts this fall at Disney’s Hollywood Studios, giving guests a chance to become immersed in the world of the four “Pirates of the Caribbean” films. Aspiring pirates will experience the story of Jack Sparrow like never before to discover if they have what it takes to join Captain Jack’s crew. This attraction will be included with theme park admission and will be located in Soundstage 4, former space of Journey Into Narnia: Prince Caspian. Zebras will welcome guests on Kilimanjaro Safaris to their new home at Disney’s Animal Kingdom in fall 2012. A reconstructed savannah space featuring a new watering hole for live animals will offer an additional viewing opportunity at the end of guests’ expedition through Africa.